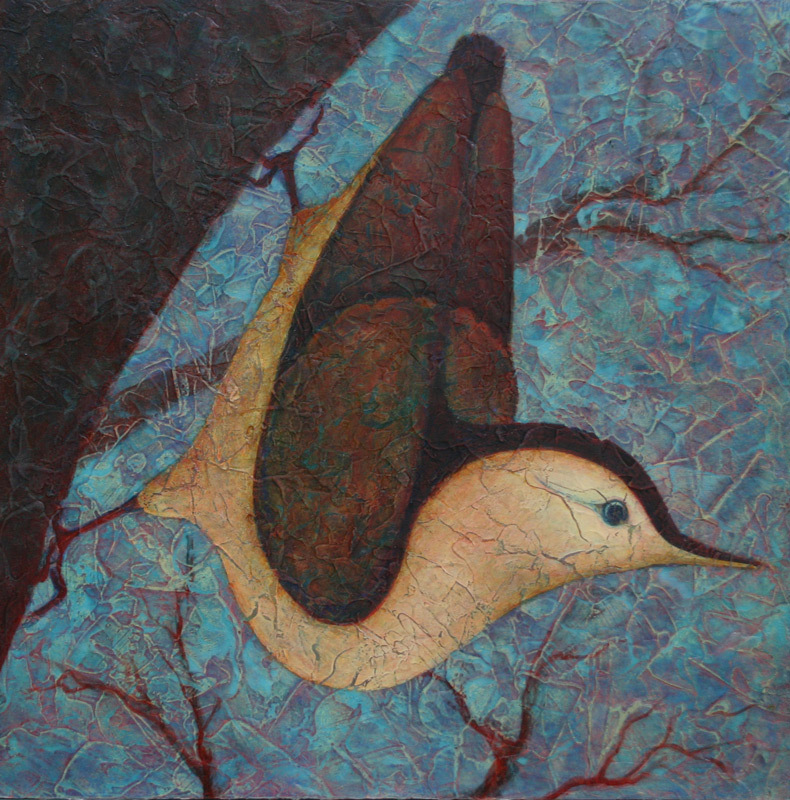 Nuthatch II is part of my Fleeting Glimpses series. Nuthatches can be such clownish characters climbing upside down, anywhere they please. The shape of the bird and textures of the acrylic and acrylic gel layers create an organic and energetic painting.